The book I read was the Woman in the White. At first when I was assigned this book I thought of it as a bland old book that I would get bored of after reading over time. What drew me to this book was the word of Mrs. Prater and how she said it was a good classic. This was about a lady named Laura that marries Sir Percival. Things get rough between the couple and this results in trust issues because of Sir Percival’s actions. When Walter finds a mysterious lady named Anne (woman in the white). He learns more and more that she is an Asylum escape and the towns people are looking for her. Laura and Anne share similar traits. As the book goes on Anne gets poisoned by Fosco and Glyde and they think they killed Laura because of the resemblance but in conclusion they killed Anne. Laura had been mistaken for Anne and was shipped back to the asylum. This creates even more tension between the charters as Laura finds out that Sir Percival was behind this. Walter and travels back and gets Laura out of the asylum and plot their revenge on Sir Percival and Fosco. Some events in the book that made me lead to my issue is that Laura had an eerie feeling about him once they got married. He seemed odd and this was later reviled that he had bad intentions with her. This shows that Laura had trust issues with him and this Is what my topic is about. Sir Percival treated Laura with no respect. He lied to her and tried to trick her into doing things which is dishonest and not respectful at all. As I read though the book I eventually started relating some of the problems the characters had. I began making personal connections with Laura and Walter the more I read. The main personal connection I made with this that everyone at one point in their life will experience this. I myself have been through this. They will meet someone and gradually build a relationship just to find out the other person does not care for them or respect them. This shows that people everywhere don’t have character when they don’t show respect. Respect that is earned and not demanded or bought will last a lifetime. As a positive, influential adult, show and share your respect with our youths for a brighter future. Everyone still sees this going on even today. In the third chapter Merian begins eavesdropping and finds out the intentions of Sir Percival and what he plans on doing with Laura. This is where the trust was broken. She found out that he was shady and lost all her respect for him. Personally I thought the actions of some of these people were low. That’s where I really started getting interested in the book really. We see people get cheated on, lied too, hurt or anything that is bound to break someone down. We sit by and watch people get disrespected daily and don’t take time to help them out. This issue is still relevant because we understand that having good relationships builds character and this is always good. You’re probably wondering who I may be directing all this too. These are to the people that constantly don’t receive the respect they deserve. I saw how important this was through reading the book. This was one problem that just popped out me honestly. The purpose of this letter is to show the importance of relationships and how they can affect us. We all need to figure out how to treat people with respect because this is better for us. When we realize who is right for us this is important. It may take a while for people to mold these relationships but in the end this is what is key to having a good life and a great character. Another connection I can make is that my friends and family all respect for who I am and how I act. This is also important for building a good character. My relationships I have with them can affect what happens in the future. This plays a big role in how people will see my attitude. 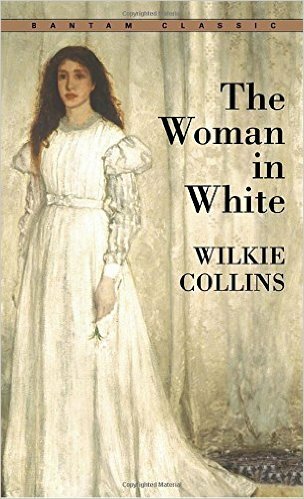 The Woman in the White was more than just an assignment for me. This opened my eyes to a conflict that has always been there in our society.